Friends speak volumes to one another without needing words. My understanding of others sometimes comes from our bodies reveal. Creator of flesh and spirit, may I more fully honor every form of wisdom You have made available. Place your hands as you see Elizabeth (the woman on the left) doing. What prayers are emerging in your heart, mind, body, and imagination? Pray them now. Place your hands as you see Mary (the woman on the right) doing. What prayers are emerging in your heart, mind, body, and imagination? Pray them now. 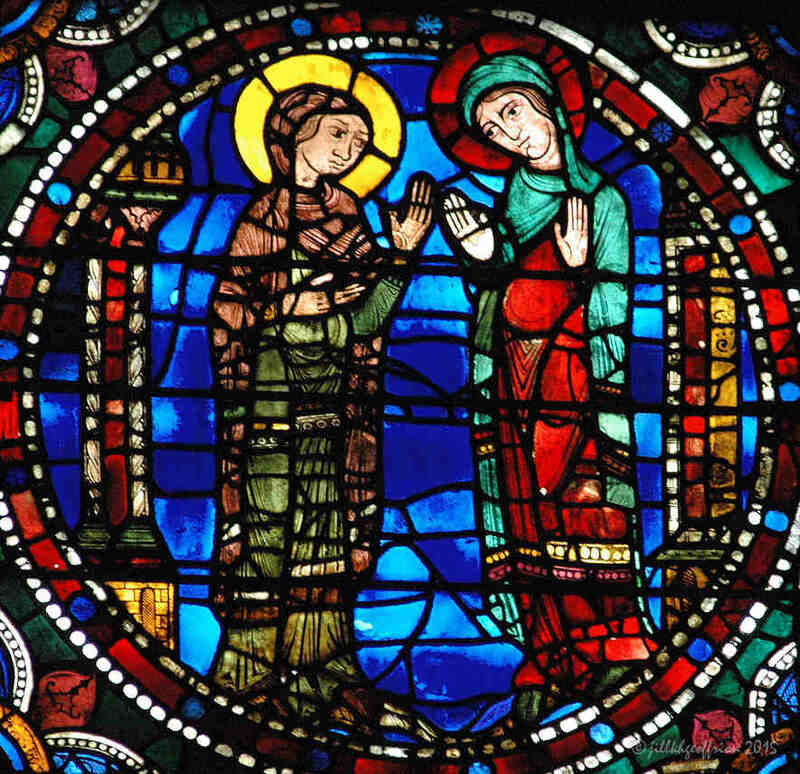 Mary and Elizabeth greeting one another in the middle panel of the bottom row of the Life of Christ window. This twelfth century stained glass window is in the middle of the west wall directly under the rose of the Chartres Cathedral in France. This image is visible from all those places in the labyrinth where the walker is facing west. 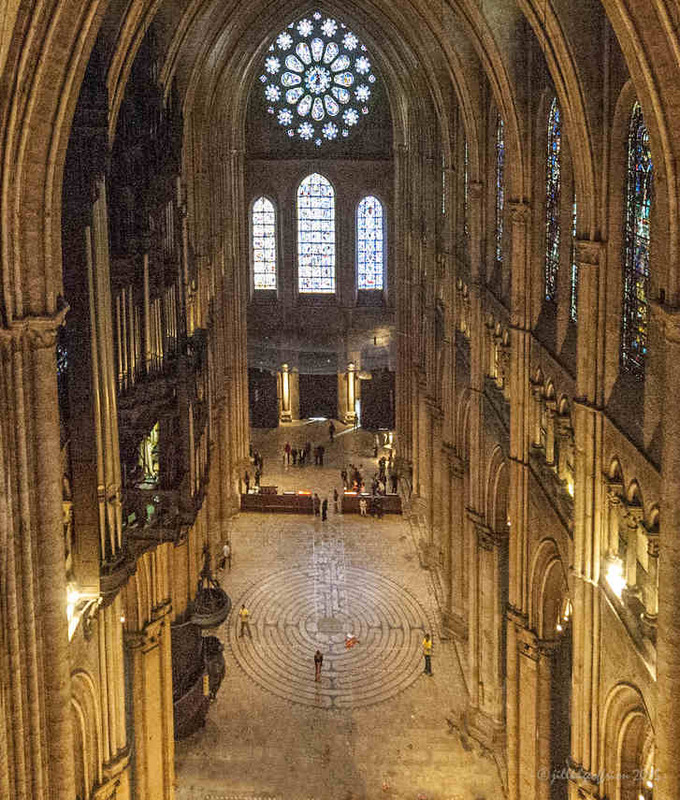 As one leaves the center the labyrinth, and on all the straight sections of the pathway as one returns to the threshold, the window and Mary are fully visible. Jill – thanks you for this extraordinarily beautiful series of Mary images from the Life of Christ window – I eagerly await each one!